What are the best ways to boost HVAC efficiency in Alton, IL? With these tips, increase the HVAC efficiency of your home and lower those utility bills in Alton, IL! An energy efficient HVAC system can help to keep your home at a comfortable temperature in both winter and summer. Increasing HVAC efficiency can also reduce the size of your energy bills. With these benefits in mind, here are some tips for increasing HVAC system efficiency in the Alton, IL area. 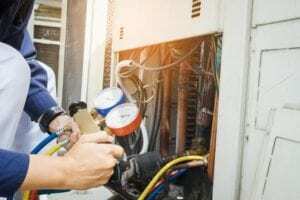 Be sure to talk these changes over with your local heating and cooling professional to ensure you’re doing all you can to increase efficiency! When your home is well insulated, the HVAC system does not need to work as hard to keep your living environment at a comfortable temperature. Installing insulation in your attic, walls, and crawlspaces helps keep your home warm in winter and cool in summer. This simple energy efficiency tip can help to prevent your HVAC system from being overworked. Sometimes, problems with HVAC efficiency have simple solutions. If your HVAC system is producing air of the desired temperature, but your home feels too hot or too chilly, take a look at your furniture arrangement. Move bulky items such as armchairs and sofas away from the HVAC vents to allow the heated or cooled air to disperse throughout the room. This will help to prevent a situation where the HVAC system works hard to produce a heating or cooling effect, but the effects are not felt throughout your home. Filters are one of the parts of an HVAC system that need the most regular maintenance. They improve air quality in your home by removing contaminants, such as dust and fur. However, they easily become clogged. 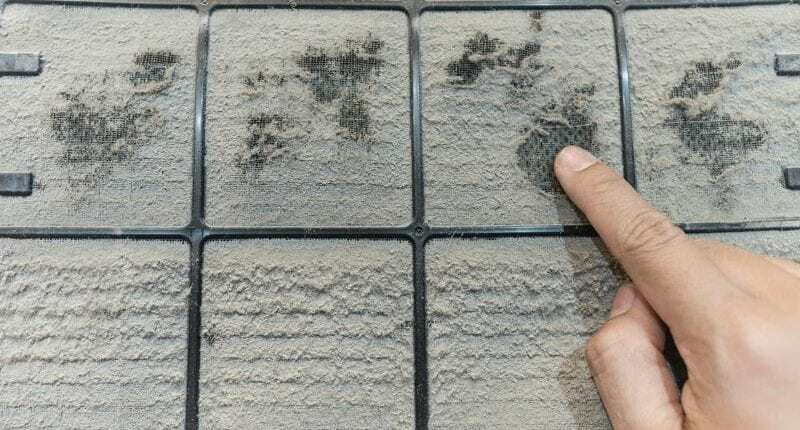 Regularly check your filters to see if they have become blocked with dust and dirt. Clean or replace them to improve the energy efficiency of your HVAC system. Leaking air ducts may cause of reduced HVAC system efficiency. Check the ducts yourself, or hire an HVAC contractor to check them as part of a regular maintenance callout. Repairing leaks is often a simple and inexpensive job, and it can greatly increase HVAC energy efficiency. If you are not sure why your HVAC system is not as energy efficient as you would like it to be, get in touch with us today. We provide HVAC service throughout the Alton, IL area to help keep your home comfortable and your energy bills low.